When it comes to taking care of your expensive Oriental rugs, you want to make sure you hire an expert that knows how to take care of specialty rugs. At Absolute Carpet Care, we have years of experience identifying what specialty rugs are made of and providing the necessary care involved in cleaning them. We’re experts at cleaning all types of rugs. Oriental, Persian, and some area rugs can be made by hand or by machine with each type requiring certain types of care. Proper fiber identification is extremely necessary in order to clean the rug as thoroughly as possible without damaging the quality. Absolute Carpet Care’s qualified technicians will give your rugs the proper care they deserve. Oriental rugs are generally made with natural fibers and dyes, requiring them to be treated with special care using cleaning agents with the correct pH balance to prevent browning, color fading, discolorations, etc. We also adjust cleaning temperatures and pressures to meet the special requirements of each type of rug. 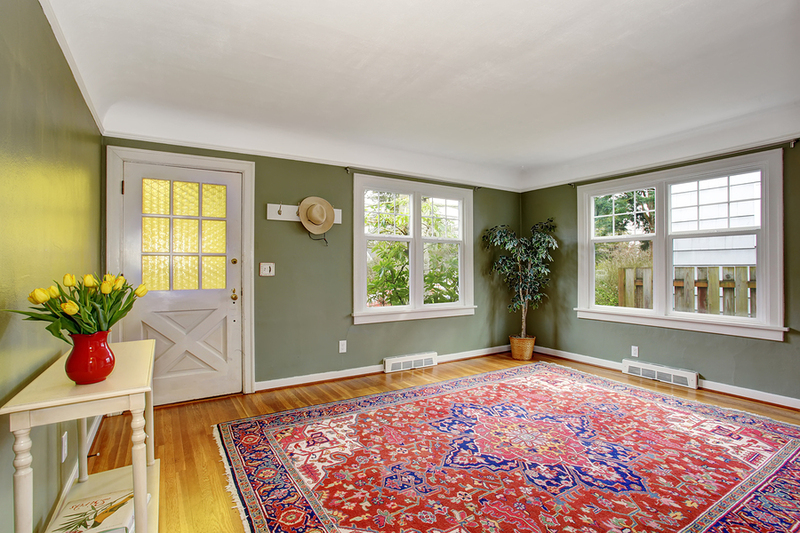 After cleaning, all rugs are dried with proper dehumidification and air movement. Fringes are then cleaned and treated and in some cases bleached to ensure maximum beauty and brightness. We can clean specialty, Oriental, and Turkish rugs of many types of fibers including cotton, wool, and silk. We also can clean a variety of synthetic rugs, such as fringed synthetics, bound synthetics, braided rugs, and more. We use a whole line of cleaning agents and stain removers specially formulated to safely and effectively clean more delicate fibers. Due to the complexity of the cleaning process of these rugs, most specialty rugs must be brought back to our plant for cleaning. The process from pick up to delivery generally takes 10 to 14 business days. However, some synthetic rugs can be cleaned on location. Contact us today to learn more about our rug cleaning techniques!